The sites are a mix of 19th-century industrial sites, forests, cathedrals, monasteries, Roman ruins, paleontology digs, and gardens. The trip will be done in conjunction with Tourism Germany who has organized (in a highly efficient German fashion I might add) my itinerary, my lodging in the different cities as well as providing me with contacts at the various sites I’ll be visiting. The logistics of this trip like this isn’t easy and I owe them a lot of thanks for helping me put this together. 27 locations in 2 weeks sound like I will be very busy, and I will be, but it isn’t quite as bad as it sounds. Most of the sites are cultural sites which consist of a single building or a relatively small area, such as the inner city of a small town. Having visited dozens of similar sites in the past, I have a good feel for how long it takes to visit them (usually 1-2 hours). 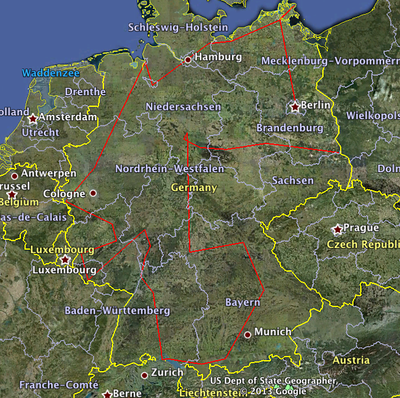 Also, because Germany has so many sites, you are usually never more than a 1-2 hour drive from the next one. There are a few clusters that are in very close proximity which will occasionally let me visit 3 in one day. Most days on the trip will involve visiting a site in the morning in the city where I spent the night and then visiting another site in the afternoon about 30-90 minutes drive from the morning location. When you think of it in those terms, it isn’t really that bad. I will also be doing something a bit different in that I will be trying to edit photos nightly. I usually wait weeks or months before I post photos from a trip. Because I dedicate a daily photo to each UNESCO site I visit, I want to begin posting as quickly as possible. That means the first photos will hopefully appear Monday evening. You should also brace yourself for almost a month of daily photos from Germany. I also (finally) have a sim card for my iPhone, so you can follow along in real time as I post updates on Facebook, Twitter and Instagram. Here is a complete list of the sites I’ll be visiting as well as my schedule. I will mostly be staying in small towns, but I happen to be in your area, feel free to contact me. I might not have a lot of time but can usually meet up for drinks in the evening. * The Wadden Sea site is shared by the Netherlands and Germany. I previously visited the site in the Netherlands but was extremely disappointed with the photos I took. What makes the Wadden Sea special is what happens at low tide and my previous visit was at high tide. I’m looking forward to taking some much more representative images. **Dresden was delisted by UNESCO in 2009 because of a bridge that was built on the Elbe river. I strongly disagree with the decision to delist and decided to keep it on my list of sites. This is quite the itinerary! I would definitely go for that. Enjoy. Love seeing your photos of the tour. I would totally do the same thing, but I have a question. Do you ever feel that UNESCO is too biased towards European countries? Yes. About half of all UNESCO sites are in Europe. It has to do with the number of individual countries in Europe and budgets they can put towards getting a site nominated. It’s incredible how much there is in Germany to see and do! In spite of visiting Germany a bunch of times (and even spending a few months working there), I’ve only been to a mere handful of these UNESCO sites since they are so spread out around the whole country. Your itinerary is ambitious to say the least, but is one that will no doubt be extremely rewarding. Viel Spaß! This sounds like an ambitious project! I hope it doesn’t wear you down too much. I am amazed at how many heritage sites Germany has. Enjoy the remainder of your time there. Bamberg is awesome..great restaurants, great beer. Do you want Jim and I to show you around that evening? Let us know. Hey Gary, looks like you’ll be in Jim’s and my neck of the woods in a couple days. We live between Bamberg and Wurzburg. Want to get together for a beer or some dinner? I will be in Bamberg on Friday night. Amazing how Germany has 37 and USA has almost half at 21. Makes me want to head on back to Europe soon! Thanks for sharing your photos “real time” and trip route info. Now other travelers can replicate very easily. More than half of all UNESCO sites are in Europe. You can visit several hundred without ever leaving Europe. You can visit over 500 by just seeing all the sites in the top 26 countries. Such a great list and a great plan to visit all those wonderful places. I have to admit that I envy you a bit. I have seen some of the mentioned places, but not all. I scrolled down your photos of UNESCO World Heritage Sites and they indeed are perfect, way better than those UNESCO use in their site, so yeah David, you’re right. Good luck for your trip to world heritage sites Gary! And waiting to see amazing pictures on these sites from you. I didn’t realise that Germany had so many UNESCO sites. It sounds like quite a trip and one I’ll enjoy following. Topped off with beautiful German countryside and great architecture and villages I’m sure the time will be most enjoyable. Have fun and enjoy Germany! I hope you like “my” city Bremen. You should see the Town Hall by night. I’m looking forward to your pictures. Interested to see the images that result from this trip. I don’t know much about Germany’s UNESCO sites. I love Trier. Roman ruins all over the place. And I know it’s not a UNESCO, but the Karl Marx house is also there. Oh and I wouldn’t bother going into Neuschwannstein. The outside is what is impressive and of course the views and the surrounding area. Inside is just dark and gloomy. Sounds like fun. Have you ever offered your pics to UNESCO to use on their site? I was briefly browsing some of the UNESCO sites you linked to. 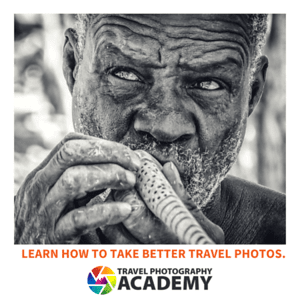 In general, your pictures are significantly better than the ones they use on their site.